Let’s Verify is positioned to quickly identify, validate and improve lead quality at the point-of-entry by filtering out all leads that do not match required filters, such as company size, title, etc. The platform is designed to use real-time contact validation and live phone verification to remove all duplicate leads, as well as leads with invalid data components. Users can also build their own rules-based, post-submission verification protocols. The platform is designed for enterprise-grade reliability and is ideal for any B2B marketing department that imports data into the CRM either through content syndication or other programs. Users can choose to upload CSV files or enable Let’s Verify to integrate with Salesforce or Marketo to automatically pull data in. They can also process data and import or export verified lead lists with the Let’s Verify platform. Pricing is based on a cost-per-lead basis, with monthly minimum requirements. INFUSEmedia customers include Google, Oracle, IBM and Microsoft. 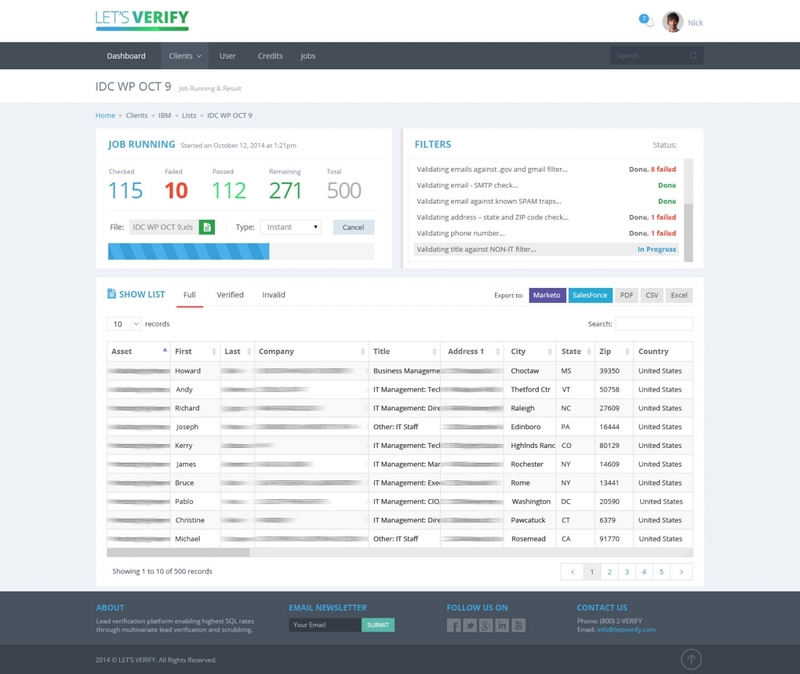 Let’s Verify aims to provide a top-notch lead verification program for B2B marketers. It is positioned to use both automated contact validation and live phone verification to deliver high-quality leads that meet a client’s custom requirements. As chatbot adoption continues to grow, B2B brands are not stopping at the homepage and are instead looking to integrate chat into other engagement points throughout the buyer’s journey. Companies such as Curalate and Housecall Pro are advancing their strategies by using chatbots to better capture and qualify leads, as well as incorporating them into their ABM mix. According to Drift’s 2018 State of Chatbots Report, the top challenges buyers face in their online experiences include hard-to-navigate websites (34%), unable to get answers to simple questions (31%) and services take too long to locate (27%). Chatbots can help businesses point customers in the right direction, answer frequently asked questions and more. But industry experts warn that marketers should take care not to confine chatbots to the top of the funnel. When leveraged properly, chatbots can be used to communicate with buyers throughout their journey and ensure online experiences are personalized to each account. Chatbots can play a particularly large role in content marketing strategies. 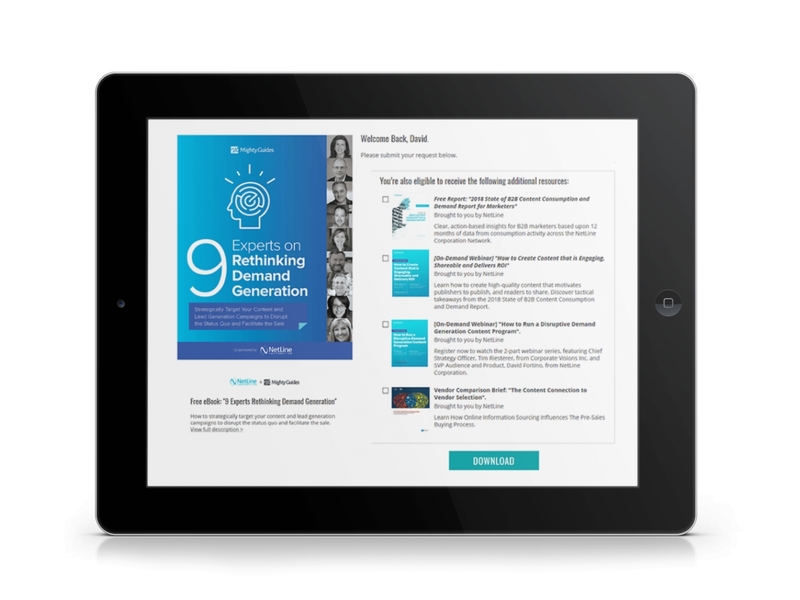 Recent research from Demand Gen Report shows buyers are more time-starved than ever — 73% say they have less time to devote to reading and researching and 59% believe content should be easier to access. Chatbots can therefore be used to recommend relevant content and replace lead forms by capturing buyer information in a more conversational, engaging manner. Housecall Pro, a field services management provider, has used chatbots since it was founded in 2013. While the company initially deployed Intercom’s chatbots to provide and scale customer support, Roland Ligtenberg, Co-Founder and VP of Growth and Business Development, said chatbots now also play an important role in qualifying leads. Curalate also turns to chatbots to help generate leads and improve its nurture process, although the company has not gotten rid of lead forms completely. According to Strupczewski, Curalate’s lead forms used to ask for a prospect’s first name, last name, email address, company name and number of employees. But because of the company’s offering as a social commerce platform, Curalate thought the number of Instagram followers may be a better qualifier than the number of employees. To test this theory, Curalate created a Drift chatbot that would respond to demo requests and ask prospects for their Instagram follower count. Nearly 65% of people who clicked into the chatbot answered the question, prompting Curalate to switch the lead form to ask for Instagram followers rather than employee headcount. Strupczewski said this simple change has allowed the company to improve its funnel by better qualifying and prioritizing leads. ABM is repeatedly called a key factor for modern marketing success and was named the top tech priority for demand marketers in 2019. So, it should come as no surprise that marketers are starting to take an account-based approach to their chatbot strategies, as well. Curalate, for example, wanted to create chatbots that could recognize repeat visitors and generate personalized conversations based on their contact information and previous engagement data. The company beta tested Drift’s new Marketo integration and used it to target webinar registrants who weren’t converting with account-based plays delivered via chatbots. To address this funnel gap, the company built a smart list in Marketo of marketing qualified leads who had requested a demo but not yet scheduled or taken a meeting with sales. When these prospects revisited the site, they were served a highly targeted message and calendar options to get a meeting scheduled on the spot. Strupczewski said the approach allowed the company to land two scheduled meetings in one week. Housecall Pro has taken a similar approach to drive event attendance. The company uses Intercom's Custom Bots to create a line of custom chatbots for its user conferences and deploys the bots to qualify website visitors on a region-by-region basis. Qualified leads or customers from the surrounding area are invited to the event and prompted to buy tickets, all within the chatbot. Ligtenberg said that the bots have made attracting current customers and prospects to events easier and resulted in over $25,000 in ticket sales for Housecall Pro’s last two events. As chatbots continue to take over B2B webpages, B2B marketers must be careful not to default to run-of-the-mill strategies and limit their chatbots to simple customer service agents or homepage greeters. Today’s chatbots have a role to play in the entire buyer’s journey and can help businesses deliver the personalized, conversational experiences B2B consumers are starting to expect. “We have the opportunity to ask brilliant, deep questions that are going to help us 1) direct [customers] to the right resources and 2) help us understand them as an individual, so that when we follow up, we can be really effective,” said Stone. Full Funnel Acceleration is designed to extract greater insights from prospects about their position in the buyer’s journey by obtaining buying signals during top-of-funnel engagement and following that person through their journey. It is positioned to layer outreach on top of content syndication, such that marketers obtain visibility into prospects’ needs and readiness to buy. The Multi-Asset solution aims to transform a single content request into so much more. It is designed to position additional companion content for the user to select from, and track consumption to depict deeper intent signals and identify the prospect’s position in the buyer’s journey. Programmatic is positioned to help marketers leverage self-reported, first-party data from real users across the NetLine network to enrich audience segmentation and targeting outside the NetLine footprint and across multichannel marketing tactics. The solutions are designed for B2B marketers and/or agencies across all industries who are looking for scalable and repeatable, on-demand lead generation sourced directly from first-party user engagement. Both full service and self-service solutions are equipped to easily integrate with virtually any third-party platform such as MAS, CRM, DMP and ERP. Leads can be fulfilled in real-time via API connections. For self-service clients, the NetLine Portal is an easy-to-use platform where all campaign design, fulfillment setup, lead data and reporting can be accessed. It operates on a cost-per-lead basis, with filters and qualification layers as factors. NetLine clients include Paycor, SAP, Citrix and more. NetLine’s Advanced Solutions suite is designed to help marketers use reliable first-party data sets to hyper-target unique or niche audiences. The new additions position users to gain greater insights into buyer behavior, improve targeting and segmentation efforts and enhance content recommendations to accelerate the buyer’s journey. /So, here’s a dirty little secret: the companies that fail to build a successful sales pipeline almost always believe that buying a good list of prospects will fix their business. It won’t. Even the best data — a custom-curated list of ideal prospects freshly validated — cannot compensate for the essential foundational work you need to do before you start talking to any data vendor. In fact, the process of building a sales pipeline is a lot like buying a house. If you’re only focused on the “finish work” — what you see in those pretty pictures online — and fail to establish your foundational criteria first, there’s a good chance that the house you buy will never live up to your expectations. What kind of neighborhood do you want? Is the quality of the school district important? Do you have access to great facilities? How much ongoing work are you willing to do? Do you prefer move-in condition or a fixer-upper? Do you need to be close to your work or want access to public transportation? A B2B prospect list can also be considered “finish work.” But you need to complete six essential steps to establish the foundational criteria that will help your data vendor create a list of prospects that will build your pipeline and accelerate your business. Most people overestimate or exaggerate their true market. Regardless of your aspirations for future expansion, your target market needs to represent a realistic assessment of your best prospect: your ideal custom profile (ICP) for growing the business over the next 12 months. Your total addressable market (TAM) is probably far fewer companies than you imagined or told investors in the recent past. When defining your parameters, rule out, not in. Aim for your best-fit prospects, not prospects that are aspirational. Prospects want to know how you compare and compete. Perhaps, for example, you have an industry sector strategy. You don’t have to be better, but you do need to know the landscape of alternative vendors in order to articulate how you differ from existing offerings. Pricing and packaging may be part of your differentiation. It’s the strategy you’re going to use to break in, perhaps disrupt and generate sales. A few of the approaches include: offering a premium, price-leading solution; using a try-and-buy or “freemium” approach to build a base that you can later upgrade and upsell; going low-cost for low-friction, volume transactions; or using a land-and-expand sales strategy. Whatever your strategy, be consistent with it. How will you reach your prospective customers? One way is with a marketing-oriented digital advertising strategy to generate inbound inquiries. Or plan on a more traditional outbound, sales-focused program with industry veterans armed with a Rolodex of contacts. Or be bold: take a product-driven strategy such as that recently followed bySlack and build a viral, word-of-mouth following with no sales reps at all. Your market-facing staff can make or break your strategy, so choose wisely. Are you interested in seasoned whale hunters with existing relationships for which you’ll pay top dollar? Or do you need marketing ops geniuses who can stand toe-to-toe with most engineers? Matching your hiring profile to your outreach strategy is critical to the success of your overall plan. Don’t go cheap with your hiring as doing so can unravel the remainder of your plans. 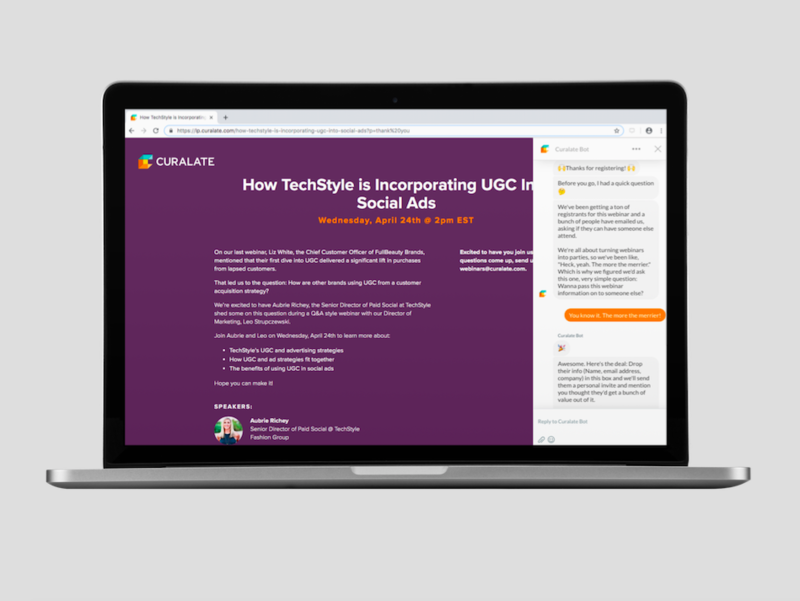 Your salestech, martech and adtech stacks should support your outreach strategy as well as hiring profile. Long gone are the days when simply buying a subscription to a CRM was all you needed to start engaging the market. Today, the CRM often has attached to it a half-dozen or more task-specific tools to drive your effectiveness. There is no doubt that data can be rocket fuel to drive your pipeline-building efforts. But adding it at the right time is important to yield maximum results. Just like those online pictures driving interest in open houses, a great data vendor can help you build an impressive pipeline. Just make sure your go-to-market house is built on a solid foundation first. 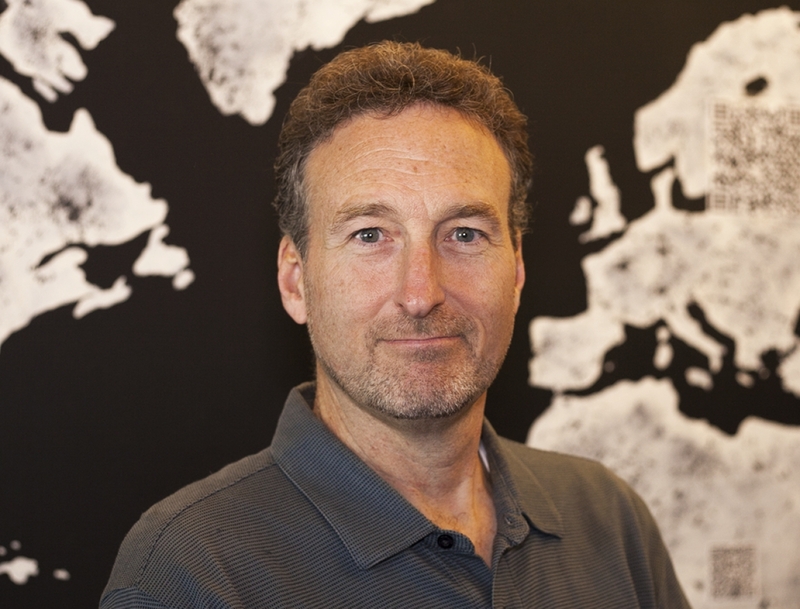 Mark Godley, CEO of LeadGenius, is a C-suite “startup junkie” with a depth of experience in sales and marketing. LeadGenius provides B2B marketing and sales teams with highly-accurate lead generation data and go-to-market intelligence, derived from a unique combination of machine learning and human researchers. Follow LeadGenius on Twitter @LeadGenius. 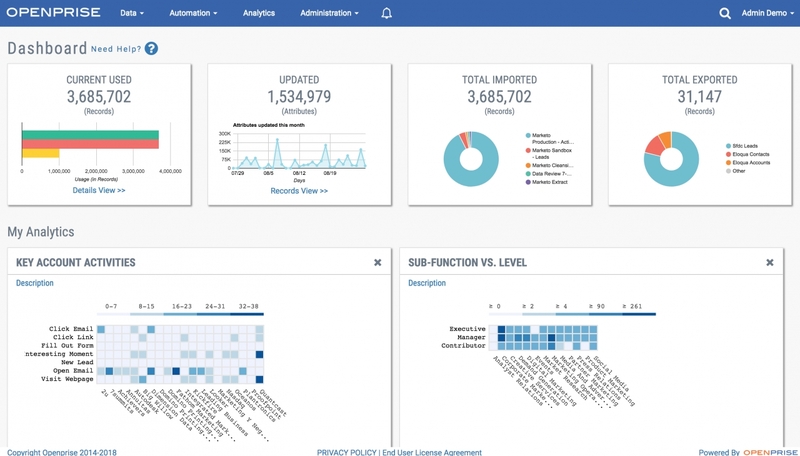 Actionable reporting: the solution is designed to send alerts to SDRs and sales reps based on SLAs and historical performance to ensure all leads are followed up with promptly and all opportunities are managed correctly. When reps don’t take action, alerts are escalated to management, creating a behavioral change loop. 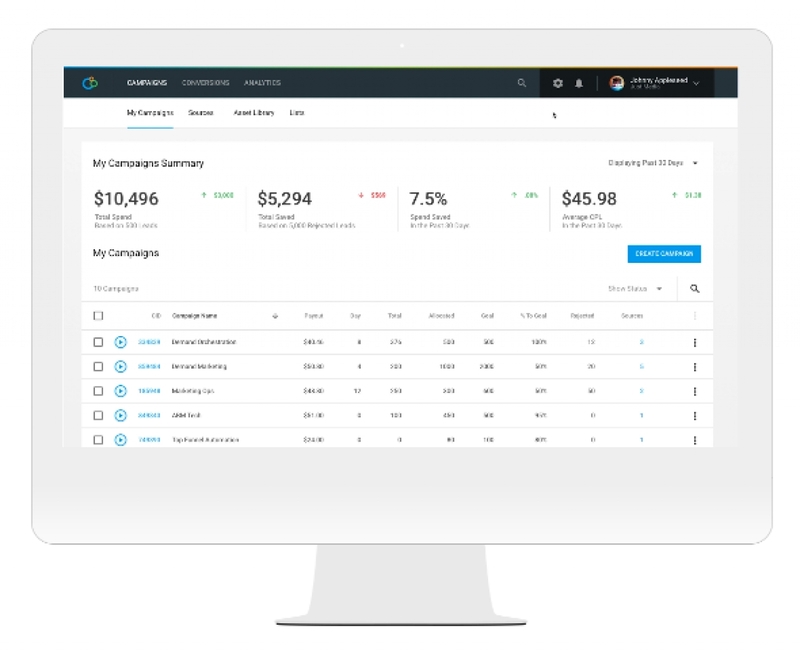 FunnelCake operates in the B2B world and is targeted towards VP roles in sales, marketing, sales ops, marketing ops and revenue ops. The solution is positioned to integrate with Salesforce Sales Cloud. 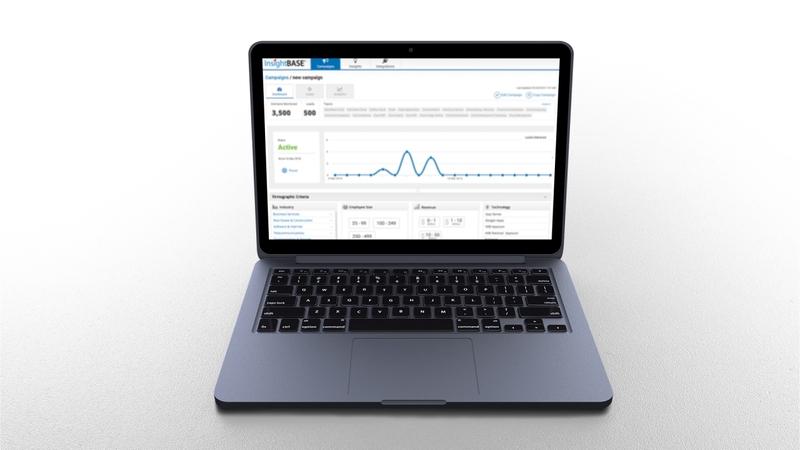 FunnelCake is a SaaS product with a web application, email alerts and Salesforce integration. Current clients include Namely, IBM Aspera and Auvik Networks. 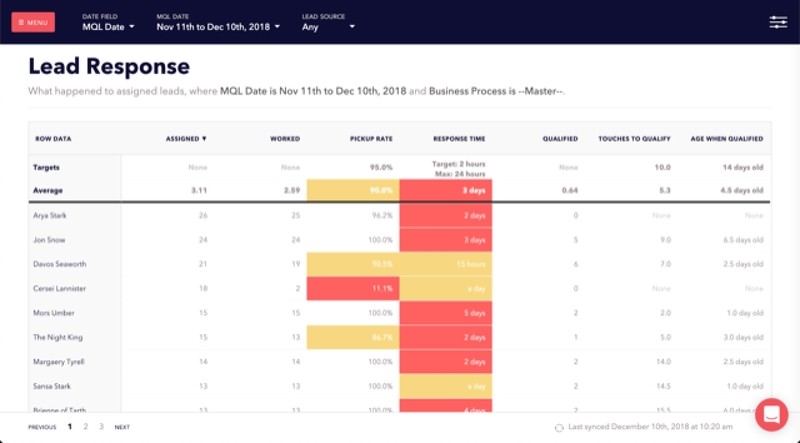 FunnelCake aims to drive change from the bottom-up by focusing on changing rep behaviors and improving the data used for dashboards, forecasts and operational insights. 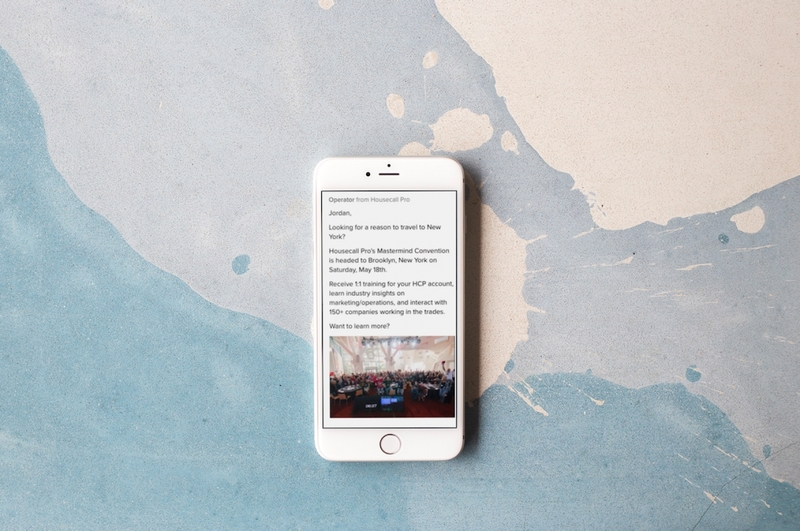 It is positioned to send alerts to reps and generate revenue insights for executives. OpportunityBASE aims to use analytics and audience segmentation to identify the right audience for specific content, as well as leverage True Influence’s TripleCheck lead verification process to ensure accuracy. Combined with InsightBASE, the platform is also positioned to detect which prospects are actively researching a solution. Customer-salesperson mapping to assign a salesperson at the customer level, place multiple reps on an account and map product lines for accurate sales commission reporting. OpportunityBASE is positioned to work across world markets such as the U.S., Canada, EMEA, Asia-Pacific and Latin America, according to the company. 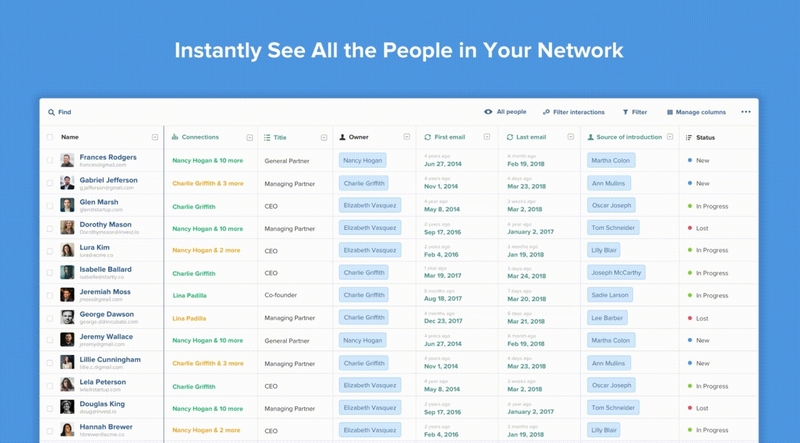 Affinity is a relationship intelligence platform designed to use machine learning and AI to create a virtual Rolodex of companies and contacts your team has interacted with. The platform is positioned to display the strength of those relationships, as well as recommend introductions to key decision makers to expand your network and accelerate pipeline. Build a consistent brand: equip team members to align and not cross wires with full context of all external relationships. 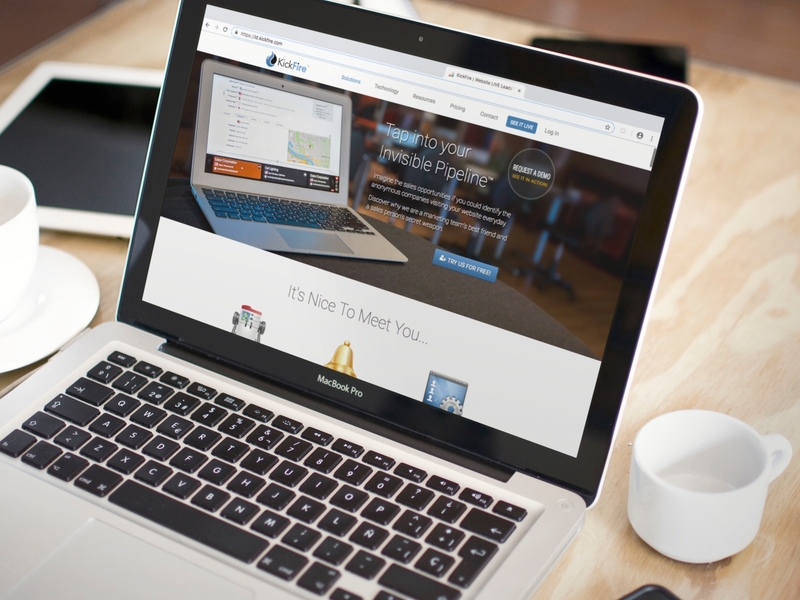 Affinity is designed for B2B marketing, sales and business development professionals. The platform can act as a standalone CRM or work alongside other platforms. More information about integrations is available here. Affinity is priced on a per-seat, per-month model based on business size. Clients include Lightspeed, LinkedIn and more. Affinity aims to offer a comprehensive relationship intelligence platform that can help B2B businesses manage relationships with prospects that can lead to new introductions and referrals. It is positioned to display the strength of relationships by analyzing communication streams and augmenting data with pertinent insights. The platform is designed to automate manual processes, such as data cleansing and enrichment, segmentation, lead routing, ABM and more. It is GDPR compliant and positioned to integrate with marketing automation platforms such as Marketo, Eloqua and Pardot. It can also integrate with the Openprise Data Marketplace, which provides data from third-party sources. "By launching the Openprise Data Orchestration Platform for Microsoft Dynamics 365, we're enabling an entirely new group of data-driven marketing and sales teams to improve their segmentation, scoring and lead routing capabilities to drive higher top-line growth,” said Ed King, Founder and CEO of Openprise, in a statement to Demand Gen Report.